Glennie Concert | Aluphone - Tuned percussion for percussionists. 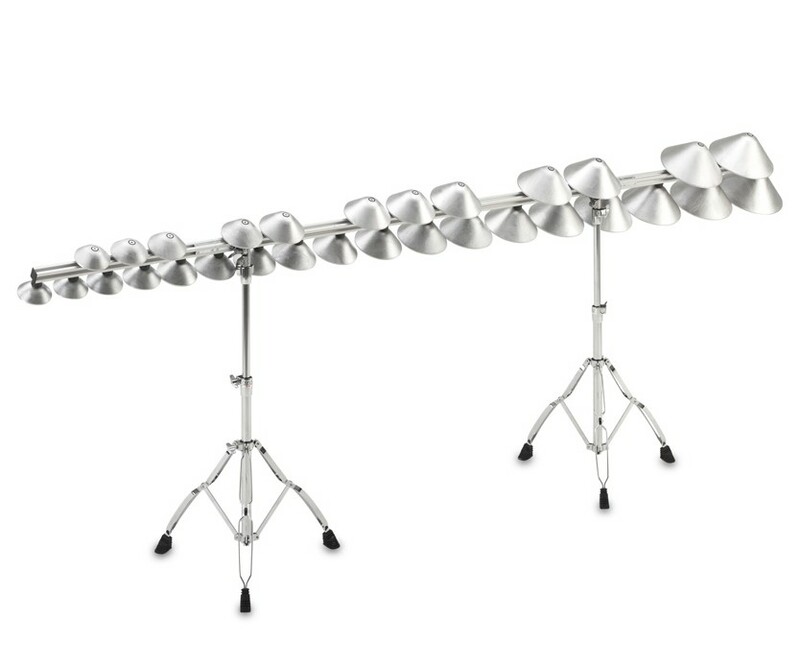 This is a two and a half octave chromatic set of Aluphone Bells without a damper function. It is our most popiular model and several major works has been written for it. The instrument comes with an adjustable mounting system, designed for use in conjunction with regular cymbal stands. Flexible height and angle adjustment make it perfect for use with other percussive instruments in a multi percussion setup. Aluphone will not be affected by high temperatures from direct sunlight, they are resistant to water, so they are perfect for outdoor use. Aluphone bells are very durable. Generaly you can play with marimba mallets. lt can be rubber mallets, yarn mallets and even plastic mallets. Each type changes the timbre a lot hard. If you use a wooden stick you will get a crystal clear bell sound and using a bow produces the sound of glass. We do NOT recommend to play it hard with brass mallets, that can damage the bells, but of course you can play it soft with metal beater a get a very clear sound.